1st appearance of the Vanisher. 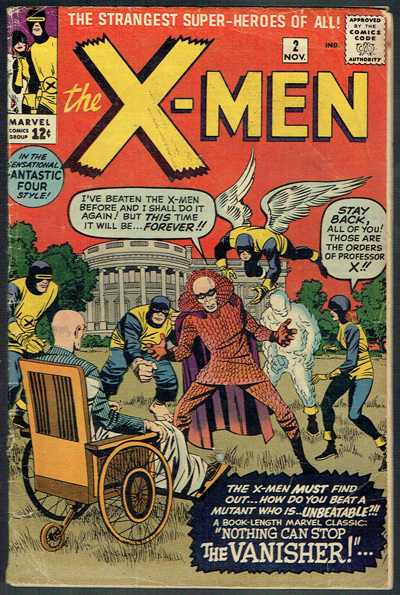 2nd appearance of the X-Men. OW pages with no Marvel chipping. Staining top FC and a small dot center FC. Fair bit of top edge and spine wear. Little ink smudging in logo FC. Nice affordable copy with good eye appeal!